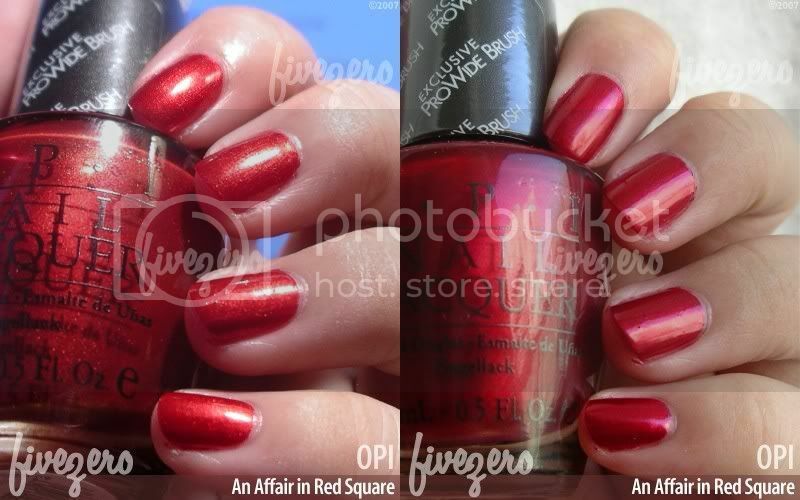 Being a red polish nut, I decided I’d made a mistake in not ordering An Affair in Red Square the first go-round, so I picked this up along with Russian Navy. Both are from OPI’s recently released Russian collection. In the bottle, AAiRS is a stunning, super-shimmery true-ish red of a medium tone. In all honesty, I am not a huge fan of the foil-y look on nails, so this polish strikes me as being a bit on the garish side; I’m reminded of Revlon’s Get Reddy, which I disliked for the same reason. It’s a lovely polish, but unfortunately it’s not really for me. Rating: 3/5. 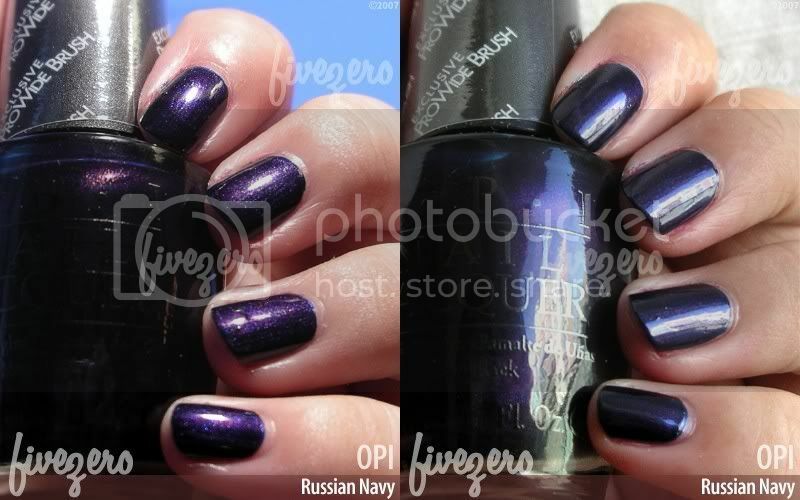 Now, Russian Navy is equally stunning in the bottle! It’s a deep, inky blue with blue and purple shimmer, which gives it an indigo cast. It’s pretty damn gorgeous, and different enough from this summer’s OPI Ink from the Night Brights collection. I’ll have to do a comparison swatch of the two of them. Rating: 4/5. why does one look more blue, and the other one mor purple? are there 2 different kinds of russian navy? or is there a way to make it appear more blue? the russian navy is absolutely goegeous! !